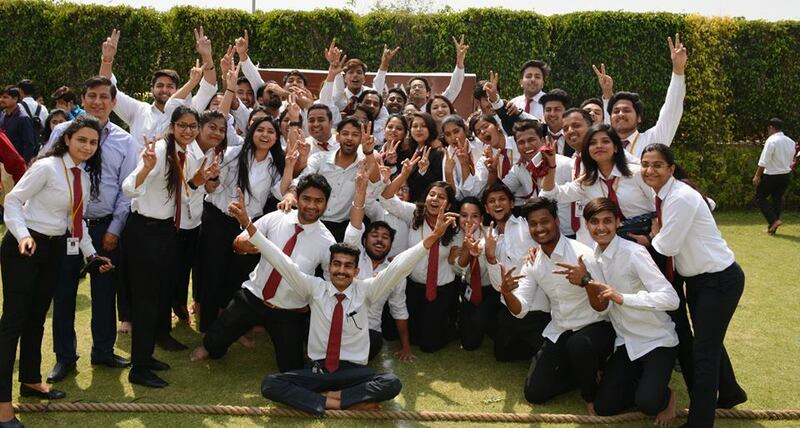 Alfresco Club @ GLBIMR organized " Tug of War" on March 29, 2019 at its Greater Noida Campus. 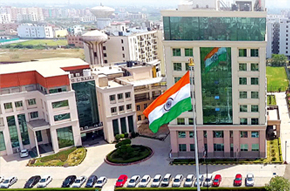 GLBIMR, in its continuous endeavour to give 360 degree holistic development to its PGDM students, Alfresco Club of GLBIMR organized “Tug Of War (TOW) competition under the guidance of Mr. Pankaj Agarwal, Vice Chairman, GL Bajaj Educational Institutions and Dr. Urvashi Makkar, Director General, GLBIMR on March 29, 2019 at its Greater Noida Campus. The Objective of this event was to inculcate the spirit of healthy competition and team work . The cooperation & rhythm of team members play an equally important role in victory, if not more, than their physical strength. It’s not enough to have power, it’s important to know how to best harness it for the collective good. To win the competition all the students needed mental fortitude to last the storm of completion and finally won. The match consisted of two rounds where intra section teams competed that led to second round which was inter section. The final match was won by Section C after a tough competition with Section A. Many congratulations to the winning team for their sincere efforts and team work.